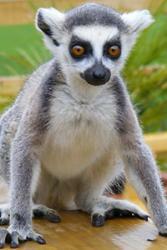 Have you ever wanted a chance to get ‘up close and personal’ with Madagascar’s incredible lemurs? Have you ever wondered what Malagasy food is like? Have you been inspired by nature documentaries to do something to support conservation of Madagascar’s unique wildlife? On the 27th April, a special event at the National Zoo of Wales in Colwyn Bay, organised by staff and students from Bangor University, will give you the chance to do all three. The event is to raise money to support the conservation work of the Malagasy charity Madagasikara Voakajy who work with communities to tackle bushmeat hunting and deforestation in the Mangabe forest (a newly designated protected area). Bangor University has a well-established link with Madagasikara Voakajy. Staff from this small but effective charity have received specialist training in the School of Environment, Natural Resources and Geography and staff and students from the University have worked closely with them in the field in Madagascar.